Barack and Michelle Obama have been serving relationship goals since before the couple moved in to the White House nine years ago. We love the super fashionable couple, not only because they’re smart and funny and woke, but because they’ve been showing the world what black love and black excellence looks like. They’re loving parents who dote on their daughters Malia and Sasha, are each other’s biggest supporters and best friends. Last week, the Obama’s celebrated their 25th wedding anniversary, and Michelle didn’t hesitate to send a shout out to her husband on Twitter. 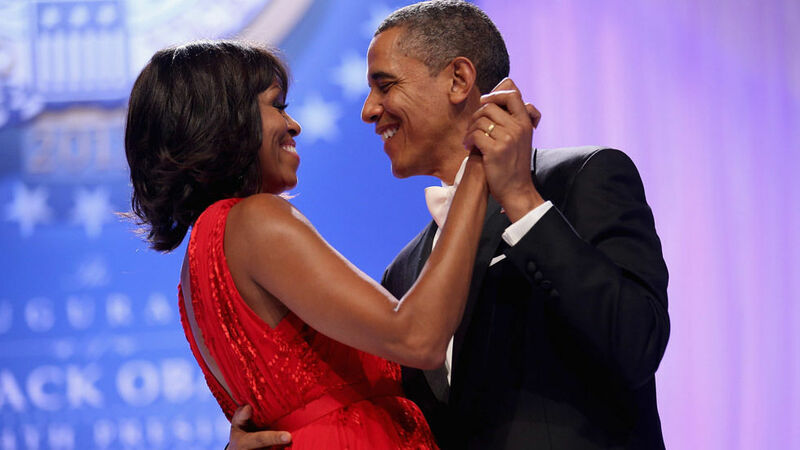 Now this post made us all warm and fuzzy on the inside, but we also wanted to share with you, a few other times where Barack and Michelle were just the sweetest and most adorable couple ever. The Barack and Michelle love story, all started with their first date in 1989, and in Southside With You, we get to see how the story started. WATCH: See Barack and Michelle’s first date when Southside With You starring Tika Sumpter and Parker Sawyers, premieres on Sunday, 15 October at 20:30 on M-Net Movies Premiere.